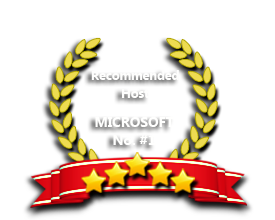 ASPHostPortal is the leading provider of Windows hosting and affordable ASP.NET Core 2.2.3 Hosting. Our price starts from $0.99 per month. Finally, the long awaited release of ASP.NET Core 2.2.3, ASPHostPortal are happy to announce the availability of the .NET Core 2.2.3 for all our hosting packages. It is a highly compatible, in-place update to the .NET Framework 4, 4.5, 4.6, 5 and Core 1.0. .NET Core 2.2.3 is a modular runtime and library implementation that includes a subset of the .NET Framework. Currently it is feature complete on Windows, and in-progress builds exist for both Linux and OS X. .NET Core 2.2.3 consists of a set of libraries, called “CoreFX”, and a small, optimized runtime, called “CoreCLR”. .NET Core 2.2.3 is open-source. ASP.NET Core 2.2.3, with the help of Visual Studio 2.2.35, lets you create modern web applications. Modern web applications not only target all devices, including PCs, Macs, Tablets and smartphones, but also work with any browser or operating system. Our powerfull servers are especially optimized and ensure the best ASP.NET Core 2.2.3 performance. We have best data centers on three continent and unique account isolation for security. Our Windows Cloud Hosting fully supports ASP.NET Core 2.2.3 hosting. You are more than welcome to try our Free Windows Cloud Hosting before you decide to buy. You can get your Free Cloud Windows hosting account up and running within the next few minutes.